Cold Brook County Park was acquired by Kalamazoo County in 1962. A popular campground and beach, Cold Brook has 276 acres consisting primarily of water in the form of three lakes and unique wetlands. 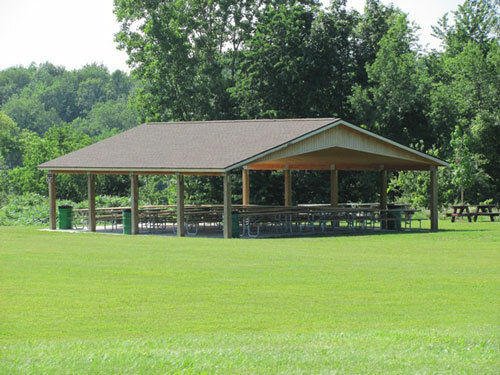 Cold Brook County Park is the perfect location for a family gathering, company picnic, school outing, or group picnic. Picnic shelters feature grills, electricity, water and clean modern restrooms at or near the shelters. For a list of available shelters, along with descriptions and fees, please visit our Picnic Shelters page. 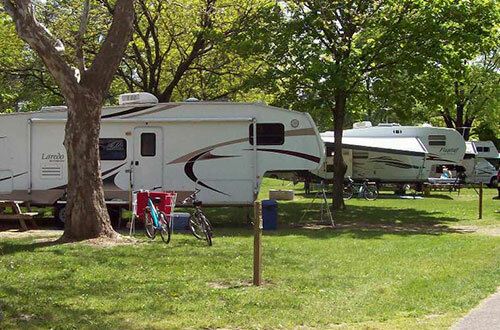 Campsites can be reserved starting on the first business day of January. To make a reservation, call 269-383-8778. Payment is due at the time of reservation with a credit or debit card. We accept Visa, Mastercard & Discover. To make a reservation less than two weeks before your arrival date, call the park directly at 269-746-4270. *The camping fees include the entrance fee for one vehicle. Additional vehicles must pay the daily vehicle entrance fee of $5 or purchase an annual vehicle permit.